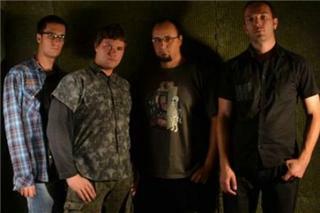 The band was founded in 2002. Its composition was the same as today, except the band then featured a female vocal and played songs of well-established bands. We had two authorial songs, but they rarely saw the light of day. We performed in smaller unknown places, schools, parties... That year and the one following it were the years of wondering around, all up until 2004 when we changed the composition of the band. We lead in a male singer, matured and brought forth some basic authorial schemes based on which our first songs, such as Broken and Past And Future, were created. In 2005 we mostly did tributes to Pearl Jam, Creed, Nirvana, Staind and Metallica and sometimes even played some of our songs. Up until the end of 2005, the band had nine songs of their own and one grunge cover. Severalfold appearances occurred all over our country in clubs such as Mojo Club (Senta), Hard Rock Caffe (--abac), Floyd (Bechey), Coyotte (Pan--evo), Dom omladine (Beograd), Danguba (Beograd), Zona razuma (Kikinda) and so on... In 2006 Static enters the studio and records its first demo album named Thoughts Like a Puzzle. The songs are a combination of grunge, progressive and hard styles. Static continues touring Serbia and other neighbouring countries performing their songs and tributes. Thanks to everyone who supports us in doing what we do best!